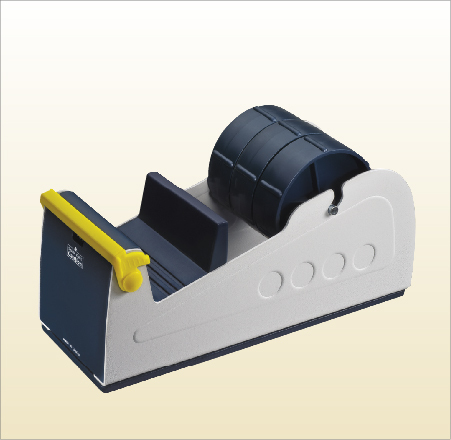 This multi-roll bench dispenser is heavy-duty metal tape dispenser with rubber base. It can hold 3 rolls of tape up to 1" wide of each roll, or 1 roll tape of 3" wide, and the length of the tape can be up to 5" (127mm) diameter. The blade cover also provide the maximum safety.